There is a bar in Melbourne on Brunswick Street called the Labour in Vain possibly the best bar in the city and certainly the most honest. LP introduced me to it in 2004 and we found ourselves there on many occasions. 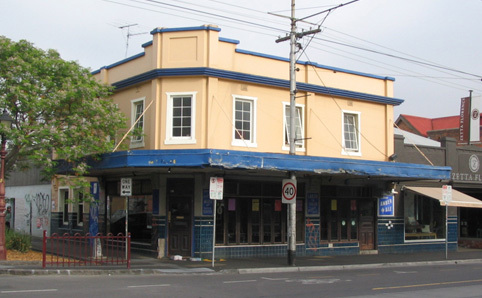 In 2008, on my second and longer stay in Melbourne and on my very last night in the city, Os and I went for a quiet drink there mostly on my insistence. That drink predictably lasted many hours and Ossie somehow got me to the airport to fly to Queensland to catch up with LP in Cairns the next day. But what struck really about that night (apart from the huge Aboriginal woman) was the attitude of the staff and customers to modern conformity and finance. When a group of suits came in having watched an Aussie Rules game across town, the slow murmur went up..´no suits, no suits.´ This murmur continued until the newcomers, the outsiders, decided it wasn´t the bar for them. They didn´t have the tattoos or t-shirts of the rest of us. They belong to a different thought and process. Travelling right now, I see a few changes, part of the gentrification of travel, notably suitcases, small laptops, clothes from home and couples. 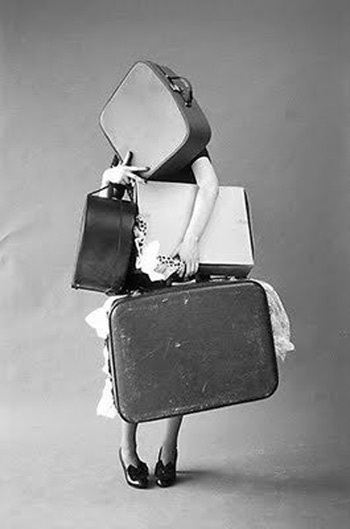 By suitcases I mean those little drag-along cases dragged awkwardly into hostels. While there are always exceptions to the exception, backpacks, the owning and taking responsibility for your choices, the burdens we choose, are part of what differentiates us as travellers from tourists, as explorers to mere consumers. The small laptops is indicative I suppose of the addiction to the internet and fundament of social networking. I see very few people actually working or researching etc. Facebook is open constantly, some searching for bus timetables occurs but most evenings are whiled away longing for home. The last night in Salento confirmed much though. Like a forum of travellers, 8 people and 5 nationalities sat round a simple table, swapping stories, ideas and advice until the early hours. Those in the hostel living room were long gone to bed. They missed out. There was a team to join, a community to build. The couples comment might seem a little odd and churlish and again there are many exceptions. But I have also increasingly seen couples using hostels as cheap hostels where they are able to cook and stay sleep together. That in itself is fine. My only gripe is that couples sometimes don´t make any attempt to integrate or meet therefore missing out on opportunities to truly travel and cheating the rest of us of 2 narratives. Now all this needs to be kept in some perspective. I am in Colombia and you don’t see too much of this. Internet can be slow or sparse. Dorm rooms dominate and the travellers tend to be of the more adventurous variety. The lack of infrastructure and fears for safety guarantee it. But I can only imagine what more accessible parts of the world are like. I might be wrong and the internet can be helpful in finding new places. I remember actually having to telephone a hostel to find if they had spaces for us before the internet was there. Or asking at the bus station for places to stay. Or even more hilariously Steve and I getting onto the internet in LA when we were pups and not actually knowing any websites to look up. Times change eh and so do I. I couldn´t live without the internet myself these days. Its a too useful tool. But right now, I got people to see. The craziest part of this megaupload story is the boss of the file-sharing website himself. Built like a Spanish door, this German had been convicted numerous for various unconvincing scams as a young IT guy and then used his skills to develop a site based in Hong Kong which became a top 15 site in the world. Finally he was arrested in New Zealand where he rented a $30m house. 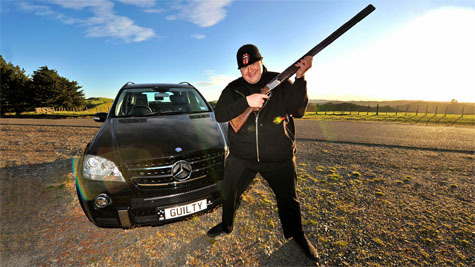 And most bizarrely he’d changed his name to Kim Dotcom! I’ve used megaupload numerous times to find films or music. I appreciate I’m not helping the problem but I go to enough gigs to pay part salaries. However the usual suggested connection to organised crime is missing here. These guys were mega-consumers too. They spent money given to them by advertisers. So the madam has been arrested while the prostitutes and the customers get to live another day. It’s all part of a very concerted effort to control the internet now. The big companies are being cajoled into compliance. Facebook, Microsoft, Oracle and Google made little stand while Twitter recently announced it will start censoring tweets in certain countries (read China). China recently cut internet connections to areas of unrest in Tibet. News organisations are now charging for content and Netflix and Spotify will try to regularise film and music viewing. The stakes are rising. Its gonna be fun to watch. Update: This is brilliant. Anonymous released taped conversations of the FBI and British police discussing their own hacking efforts to find Anonymous. The hackers have hacked the hackers who sought to arrest them. I’m not an Apple man. Never have been. Probably never will be. I don’t need Apple. I use Linux so all is fine. 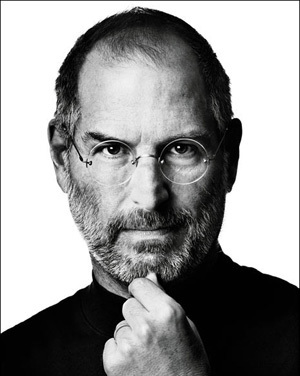 But Steve Jobs undoubtedly had an significant influence on what and how use technology. His impact can be heard everywhere. Obama got it right when Jobs an innovator, for he wasn’t an inventor. He took products, packaged them up in a unified system and made them look appealing. He didn’t invent the MP3. He was packaged it better into the iPod. The iPhone is Japanese technology, Chinese built, British designed and American marketed. And all sold at Switzerland prices. What I don’t like about Apple is the locked-in syndrome. You can only use what they sanction, one reason why Flash isn’t available and yet is compatible with 90% of websites. The iTunes system also requires the exclusive use of their products. There also needs to be some perspective here. Apples are sold in the West, and by the West, I don’t mean the First World. They aren’t that well-known in Asia, non-existent in Africa and rare amongst the developing world masses. Only techies and media types would know about them and computer engineers will use Linux for its open system. The recent Apple adverts’ tagline was ‘the way we do it (normal things) will never be the same.’ That’s pretty true. But Jobs didn’t save the world here. He improved and packaged technology. To quote Steve Woznaik, the co-founder of Apple, ‘Steve wasn’t into the technology, hardware or software but he knew how to make you want it. Marketing was his greatest strength.’ Hardly a ringing endorsement. Job did move Apple from PC to MP3, phones and laptops creating the world’s largest technology company by value. Its skill in functionality, smoothness in operation and image and if you buy into it, the integration with other Apple products, make it fairly iconic. The value of the brand says it all.